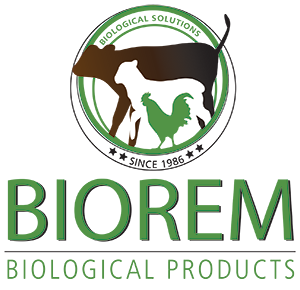 BIOREM BIOLOGICAL PRODUCTS has been established in 1986 by several scientists, initially for the development of probiotics. A very successful range has been formulated, tested and marketed over a period of 25 years for both human and animal treatment. During 1996, a colleague discovered very promising anti-oxidative material in leguminous plants in the northern part of the Cape Province and we started to do research and development on natural anti-oxidants. Manufactures for the primary manufacturing industries of probiotics and natural anti-oxidants to be applied in agricultural-, pharmaceutical-, food- and cosmetic products. We also manufacture and market natural health products for the retailer of food supplements, alternative- and registered medicines. We not only manufacture milk replacers for calves and lambs, but also offer you the complete package necessary for rearing calves and lambs. Continuous supply of information and research results free to our clients. All products registered by act 36 of 1947. BIOMEL* is technologically one of the most advanced products in the world, due to the inclusion of the product BIORED*, as well as the BIOREM-CULTURE* which has been tested over the past 25 years. Together with the loading of the product with our new therapeutic nano frequencies resulted in the only milk replacer to be able to wean a calf within 24 days, with as much as 14 kg powder. Compared to other international products, verified by independent scientists, as well as a well-known university, it was not only possible to wean calves within the shortest period, but also had the least cases of diarrhoea, best average daily gain, best food conversion, lowest morbidities and no mortalities. Thus proven to be the most cost effective product available!